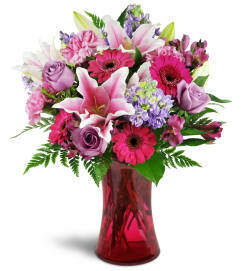 Whether you're a secret admirer or a publicly professed partner, this lush, vivid display is sure to let them know you're smitten! 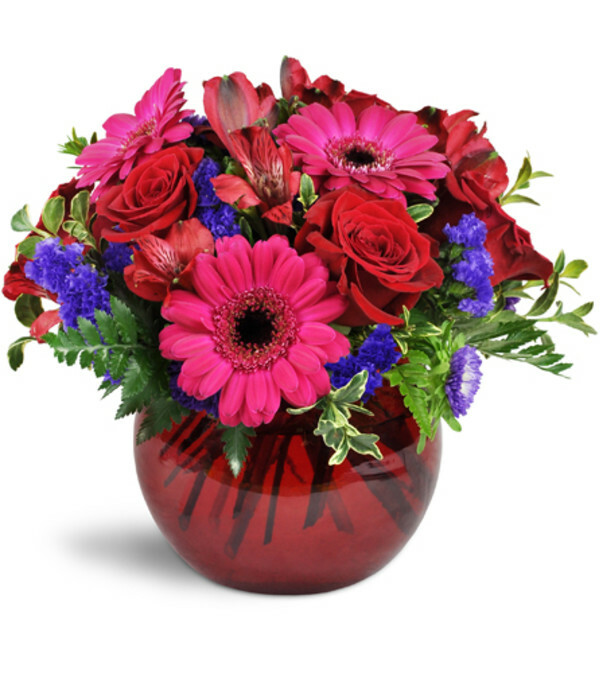 Rich jewel-tones roses and mini Gerbera daisies are endlessly modern and elegant. Fuchsia mini Gerbera daisies are arranged with red roses, alstroemeria, asters, and more in a dramatic red glass bubble bowl. Love the experience of shopping for flowers at Blooming flowers. Not only was the arrangement beautiful but they went out of there way to get it delivered .....awesome service and much thanks to Don . Great selection of flower options. I chose the spring flowers bouquet, they were beautiful! Delivery was on time and my girlfriend was over the moon when she was surprised with your beautiful flowers! Thankyou! I look forward to shopping with you again. The delivery was timely and the flowers were very nice. 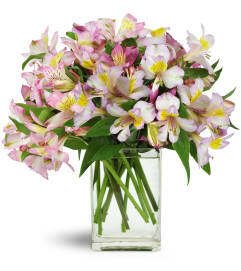 Blooming Buds is a Lovingly Florist in Edmonton. Buying local matters. Discover how Lovingly supports local florists. Copyrighted images herein are used with permission by Blooming Buds.